British daily newspaper The Guardian will now use in its articles the name of the capital of Ukraine according to English spelling - "Kyiv" - instead of the old form of "Kiev," the Guardian journalist Shaun Walker has reported on his Twitter account. "It has happened. Guardian style guide update: Kyiv not Kiev (except 'chicken Kiev')," the journalist wrote. Walker also said he wondered if the newspaper had to use "Odesa" as well. Twitter users often paid the attention of The Guardian to the need to use the word "Kyiv" instead of "Kiev" for the name of the Ukrainian capital, since this form is grammatically correct. London Luton Airport will also use the name "Kyiv" when referring to the capital of Ukraine. 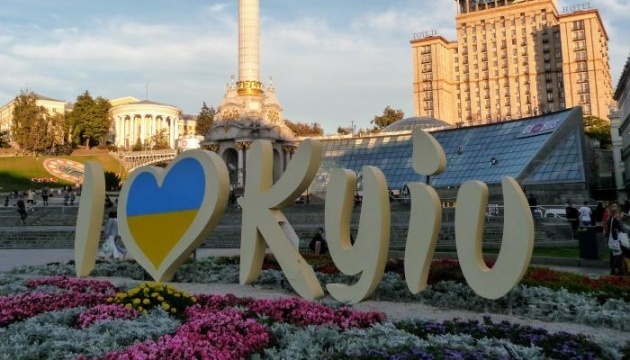 In October 2018, the Ukrainian Foreign Ministry, together with the StratCom Ukraine Center for Strategic Communications, launched an online campaign #CorrectUA during which it will ask foreign media outlets to spell the Ukrainian capital correctly (#KyivNotKiev).